EM Assistant Secretary White Focuses on Collaboration in Japan Visit; Oak Ridge Celebrates Completing One Year of Shipments to WIPP; Workers Install Key Equipment in Hanford Mockup for Hazardous Soil Removal; and Much More! EM Assistant Secretary Anne White speaks during the fifth meeting of the U.S.-Japan Bilateral Commission on Civil Nuclear Cooperation in Tokyo on Aug. 8. Following is a first-person account by EM Assistant Secretary Anne White on her trip to Japan as part of a delegation attending the U.S.-Japan Bilateral Commission on Civil Nuclear Cooperation, the U.S.-Japan Decommissioning Forum, and a tour of the Fukushima Daiichi Site from Aug. 7-10. I had the honor of traveling to Japan proudly representing EM, while accompanying Deputy Energy Secretary Dan Brouillette, Under Secretary Mark Menezes and Acting General Counsel Ted Garrish, as part of the official DOE delegation for several events related to decommissioning. This was all part of Japan’s “Decommissioning Week,” where we share information on cleanup practices and approaches, help U.S. industry advertise their experience in cleanup, and generally work to reinforce the strong relationship between the U.S. and Japan. It was an incredible trip and a wonderful opportunity to talk about the great work that our EM program is doing as well as to tout the capabilities of U.S. decommissioning contractors. My first event of the week was the U.S.-Japan Decommissioning Forum on Tuesday, Aug. 7 in Tokyo. This forum is focused on building connections between U.S. decommissioning companies and Japanese organizations and companies as potential customers or partners. Beautifully cohosted by the U.S. Embassy in Japan and the Japanese Agency for Natural Resources and Energy, it featured 26 U.S. companies sharing their expertise and experience. As co-chair (with Mr. Toyoaki Yamauchi of the Japan Atomic Power Company) of the session on decommissioning perspectives from the U.S. and Japan, I was very proud to be able to share some of our best practices and lessons learned for safe and cost-efficient decommissioning. The presentations and panel discussions throughout the day shared a wealth of information by all parties. I learned a lot about the Japanese cleanup at Fukushima Daiichi and see many areas of overlap in challenges and issues. It is clear to me that the EM experience and expertise in environmental cleanup is widely recognized and respected in Japan. 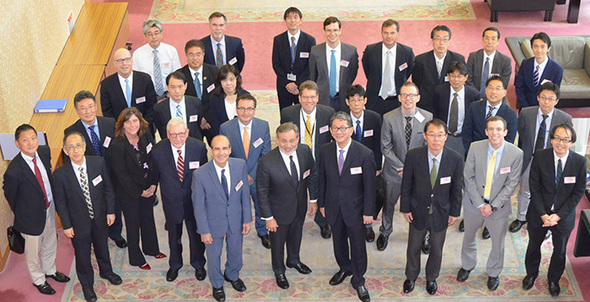 The next day brought the meeting of the U.S.-Japan Bilateral Commission on Civil Nuclear Cooperation (abbreviated BLC). The BLC was co-chaired by Deputy Secretary Brouillette, along with Senior Deputy Minister for Foreign Affairs Takeo Mori for Japan. 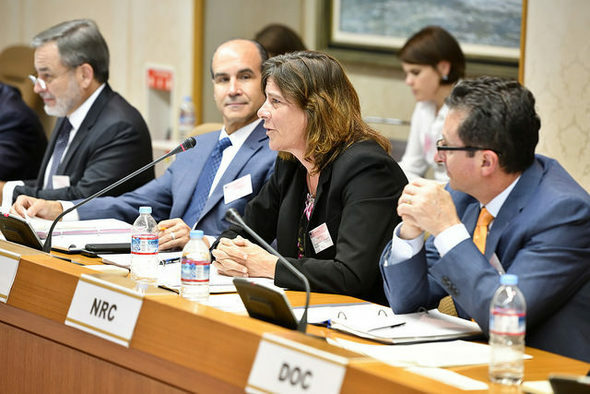 The BLC is a high-level forum that was established in 2012 to advance cooperation on a variety of nuclear matters. There are five working groups under the BLC, including the Decommissioning and Environmental Management Working Group (DEMWG) which I co-chair with Mr. Tatsuya Shinkawa, Director General of International Cooperation for the Ministry of Economy, Trade and Industry (METI), Jane Nishida of the EPA, and Mr. Yutaka Matsuzawa of the Ministry of Environment (MOE). The BLC meeting is a very high-level and formal meeting, so our DEMWG presentation was a high-level summary of areas of U.S.-Japan cooperation on cleanup and decommissioning — very ably developed on EM’s part by our own Ana Han. 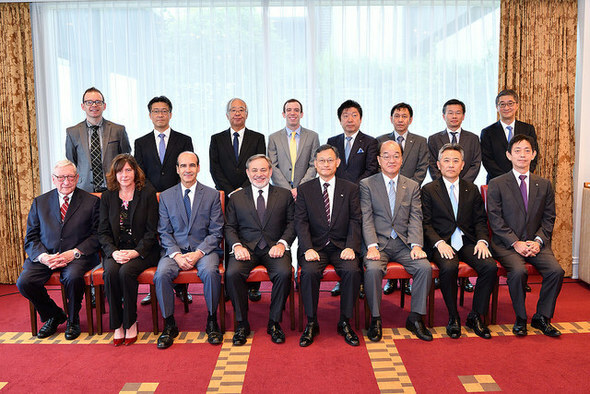 Participants in the fifth meeting of the U.S.-Japan Bilateral Commission on Civil Nuclear Cooperation gather for a photo. Following the BLC, my co-chair, Shinkawa-san, and I had an excellent discussion on working together to define new ways to increase the impact of the DEMWG. I am looking forward to working with Shinkawa-san to increase collaboration between EM and METI, as well as defining opportunities for increased U.S. commercial engagement in Japan. The BLC meeting coincided with the landfall of a typhoon in Japan — with lots of wind and rain as you would expect! Because of concerns about high winds and flooding, we had to cancel our planned tour of the Hamaoka Nuclear Power Plant, so I had some time to catch up on my work and even had a couple of hours late in the day (after the rain had stopped) to explore a small part of Tokyo. This was my first visit to Tokyo, and I marked it by buying a real kimono at a used kimono store. Although I got some excellent “training” at the store, I don’t think I have yet been truly qualified to the level where I can put it on correctly! But, it was fun and it was good to be able to see some of Tokyo. The final day of my visit was devoted to a tour of the Fukushima Daiichi Site. 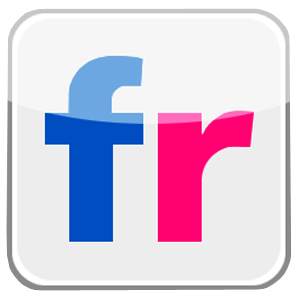 Daiichi means No.1, so the site is often called the 1F site. The drive from Tokyo is about 2.5 hours, with many scenic views along Japan’s Pacific coast. The 1F tour was conducted by Tokyo Electric Power Company (TEPCO) staff and I was pleased to be joined by Shinkawa-san and Ms. Yumiko Hata of METI. TEPCO is the license holder for the site and is responsible for the cleanup itself. METI is the government agency that sets cleanup policy — somewhat akin to DOE-EM. We were welcomed to the site by Mr. Naoto Moroo — Senior VP for the TEPCO Decommissioning Company and Mr. Tomohiko Isogai — 1F Site Superintendent for TEPCO. Before the tour began, Isogai-san surprised me by taking me to a nearby room to see my old friend Dale Klein. Dale is the former head of the U.S. Nuclear Regulatory Commission and now chairs TEPCO’s international advisory board on nuclear safety — the reason he was visiting the 1F site that same day. It was wonderful of Isogai-san to take me to see Dale and great to run across an old friend so unexpectedly! Pictured are key participants in the fifth meeting of the U.S.-Japan Bilateral Commission on Civil Nuclear Cooperation in Tokyo on Aug. 8. Deputy Energy Secretary Dan Brouillette is pictured at front, fourth from left. Ted Garrish, Acting General Counsel, is at front, far left. EM Assistant Secretary Anne White is at front, second from left. Mark Menezes, Under Secretary of Energy, is at front, third from left. The 1F tour was led by Mr. Yoshihiko Itoh — Manager of the D&D Communication Center — and was fantastic. The site itself is very small compared to many of our sites — only about 3.5 square kilometers, less than 0.5 percent of the Savannah River Site's (SRS) area, but is densely packed with facilities, people (over 4000/day) and ongoing work. The progress made by TEPCO in seven years is very impressive. Although we were dressed In protective clothing and saw many things, three items really stood out for me: 1) They are making extensive use of ion exchange for their contaminated water cleanup, using the same technology that we will soon deploy at SRS with Tank Closure Cesium Removal and at Hanford with Tank-Side Cesium Removal. 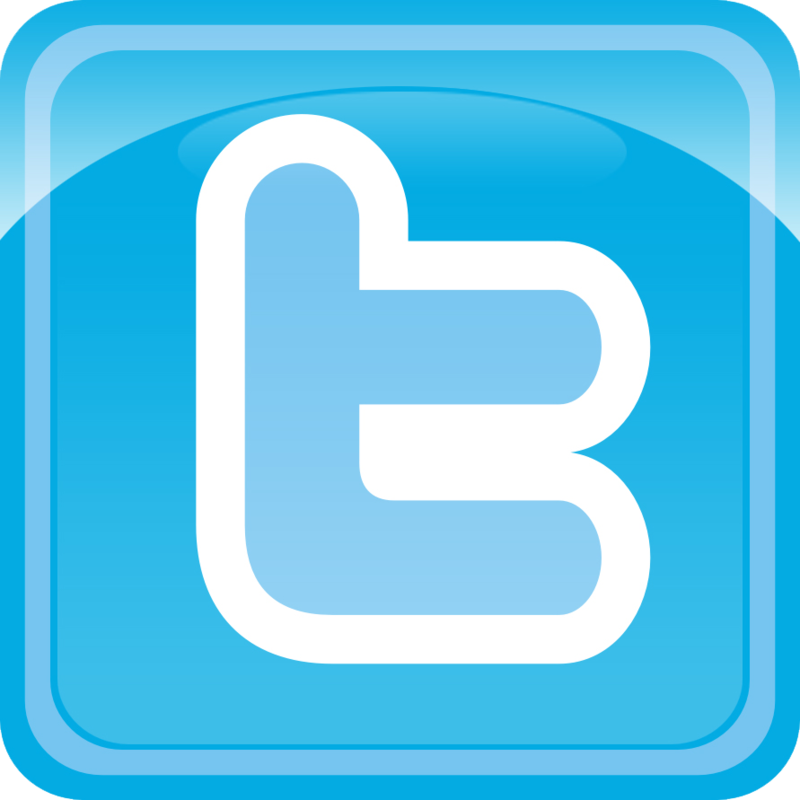 They have been very successful with IX and I think their experience can be very helpful to us as we go forward. 2) The only radionuclide that remains in their treated water is tritium, which is at levels that necessitates a detailed analysis of disposal options. The result is that they have over 1 million tons of contaminated water stored in thousands of water tanks as far as you can see. Assessing and analyzing treatment and/or disposal options is an area where U.S. industry experience and expertise may be able to provide important support. 3) Lastly, I was very impressed by the facilities and capabilities that TEPCO has put into place to support site operations. Even in the midst of their urgent, ongoing cleanup work, they worked hard to recover portions of the site and establish badly needed rest areas, training and briefing rooms, remote monitoring capabilities, and even a convenience store for site workers. 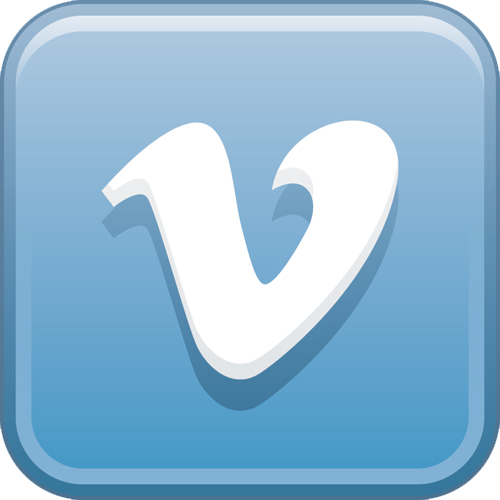 These kinds of activities have made their site work much safer and more efficient. It was all very impressive! I should also mention that I had some excellent meetings with the President and Chief Decommissioning Officer for TEPCO Decommissioning Company, Akira Ono, and the President of the Nuclear Damage Compensation & Decommissioning Facilitation Corporation (NDF), Dr. Hajimu Yamana. NDF is the organization responsible for providing strategic support and oversight as TEPCO conducts the cleanup work at the 1F site. TEPCO already has contracts with Savannah River National Laboratory for DOE laboratory support and Ono-san expressed an interest in closer work with EM. Because of their strategic and oversight role, NDF is particularly interested in EM’s experience in developing end states and in our contract and project management experience. EM has already made a number of connections with NDF and there are other opportunities for mutually beneficial collaboration that I want to explore in the future. All in all, the trip to Japan was a wonderful experience. I see many areas where I think EM can 1) learn valuable lessons from the Japanese experience, and 2) help U.S. industry provide experience and expertise to support Japanese cleanup efforts. I want to thank the DOE folks at the U.S. Embassy: Ross Matzkin-Bridger, Cameron Salony, and Emily Eng (on loan from the National Nuclear Security Administration) for their untiring efforts to support us and shepherd us around in this busy week. Finally, I want to thank Ana Han for her efforts in planning the agenda and developing the material that made this week such a success. Employees gather to celebrate completing a full year of shipments to the Waste Isolation Pilot Plant. Left to right, Tom Carver, Carlsbad Field Office waste certification manager; Linda Beach, Transuranic Waste Processing Center (TWPC) program manager; Pat Tilmon, Oak Ridge National Laboratory (ORNL) Central Characterization Project project manager; Fred Hecker, TWPC waste operations and programs manager; Bill McMillan, Oak Ridge Office of EM (OREM) ORNL portfolio federal project director; and David Queen, OREM TWPC federal project manager. OAK RIDGE, Tenn. – Employees recently gathered at Oak Ridge’s Transuranic Waste Processing Center (TWPC) to celebrate completing a full year of shipments to EM’s Waste Isolation Pilot Plant (WIPP). Prior to August 2017, Oak Ridge’s last shipment to WIPP was completed in 2012. WIPP suspended operations in February 2014 when a truck fire and unrelated radiological event temporarily closed the facility. Shipments to WIPP resumed in 2017. 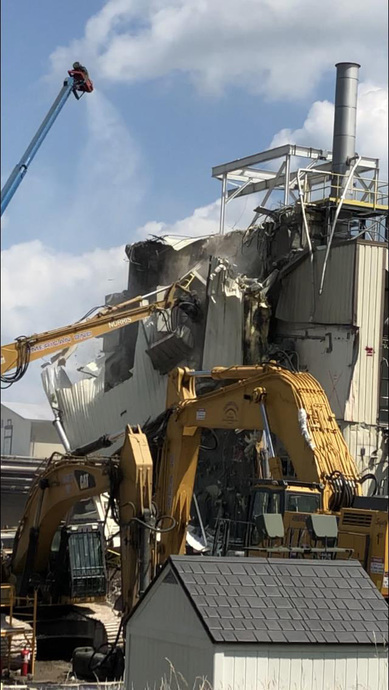 During the past 12 months, employees at the TWPC have prepared more than 50 shipments that sent 1,564 drums of transuranic waste for disposal in the geological repository in New Mexico. Transuranic waste consists of materials and debris contaminated with elements with a higher atomic mass than uranium. The majority of Oak Ridge’s inventory originated from previous research and isotope production missions at ORNL. 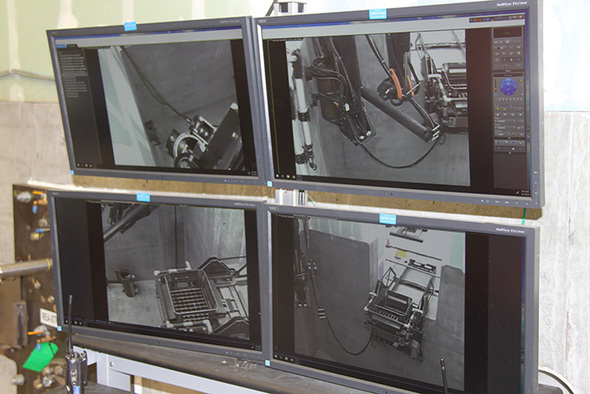 Oak Ridge has removed more than 70 percent of its original legacy inventory of contact-handled transuranic waste. Unlike remote-handled transuranic waste, which must be handled and transported in lead-shielded casks, contact-handled transuranic waste can be safely handled by workers wearing protective equipment under controlled conditions. 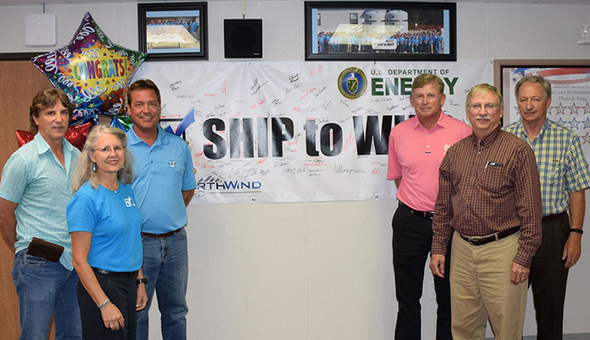 “We’re proud to stand in front of the ‘Ship to WIPP’ banner with so many signatures demonstrating that a team effort was needed to make the first shipment, and that has not changed with each subsequent shipment,” said Linda Beach, TWPC program manager. 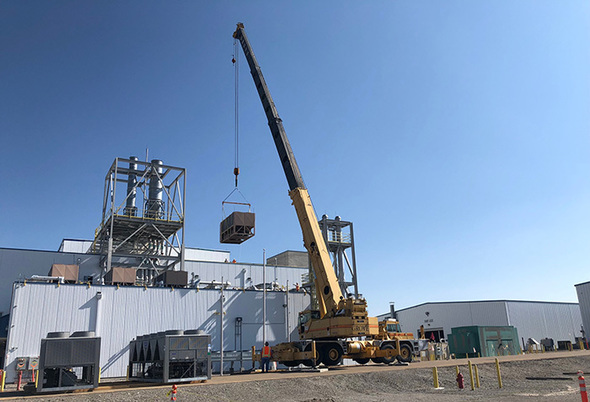 Completing a full year of shipments to WIPP required coordination among personnel at the OREM and TWPC, Carlsbad Field Office (CBFO) and its Central Characterization Project (CCP), mobile load team, and drivers. CBFO and CCP were critical to the success, maintaining a pipeline of WIPP-approved drums for employees in Oak Ridge to pull and stage for loading. Workers use heavy equipment to take down the penthouse structure from atop the Vitrification Facility. 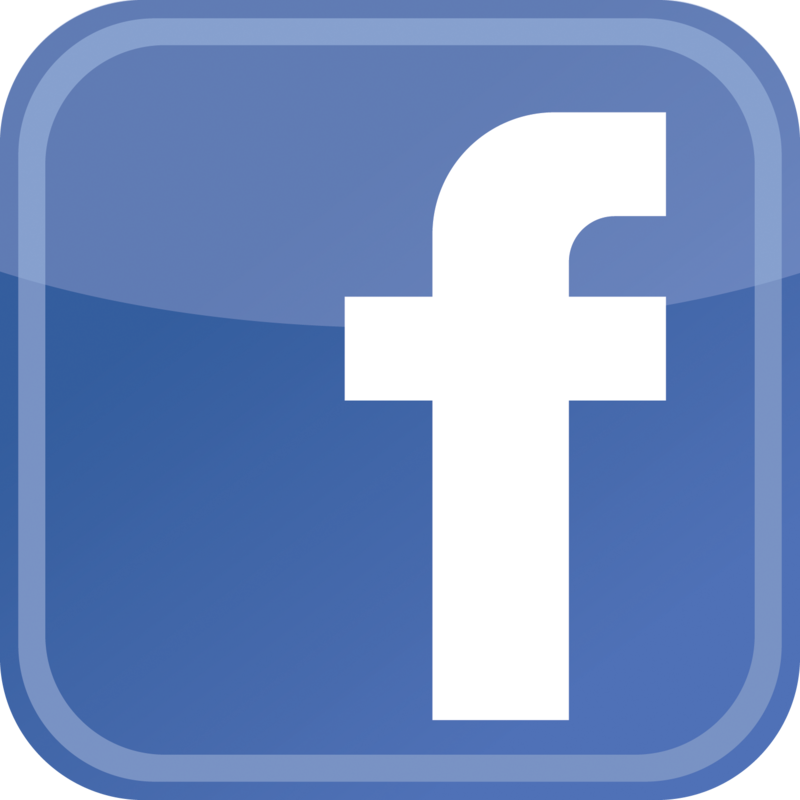 Debris from the project will be size reduced, packaged, and shipped to a disposal facility. 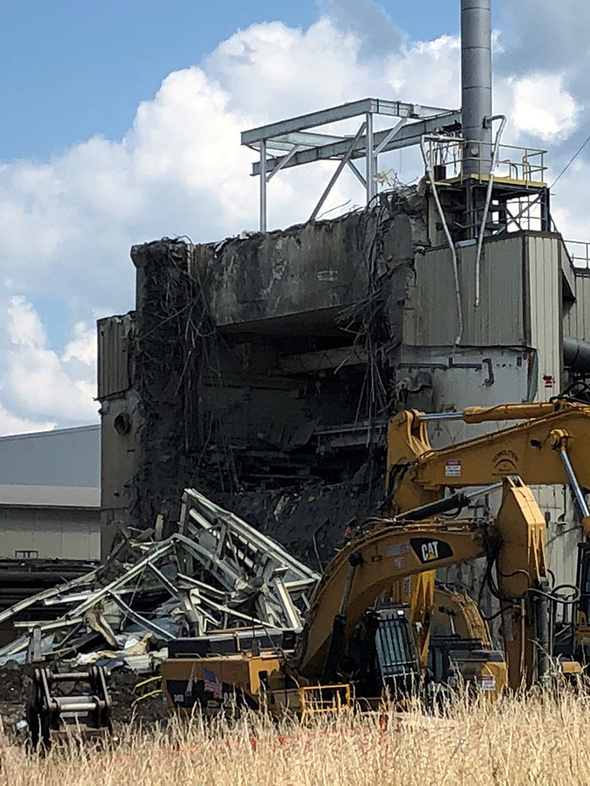 WEST VALLEY, N.Y. – Crews successfully removed a steel penthouse structure from atop the Vitrification Facility earlier this month at the West Valley Demonstration Project (WVDP) site, moving EM closer to finishing demolition of the building. The penthouse contained twin 52-ton hoists used to open and close a 100-ton, 9-inch-thick steel shield door workers pulled out in July. That door provided access to a room used for maintenance of cranes and storage. Workers also took out three cranes and other equipment inside the facility this month. Remaining work in the teardown project — scheduled for completion in September — includes demolition of ancillary rooms and structures that supported vitrification operations. The Vitrification Facility was used to solidify 600,000 gallons of high-level liquid radioactive waste from 1996 to 2002. That waste was generated from spent fuel reprocessing that took place from 1966 to 1972. 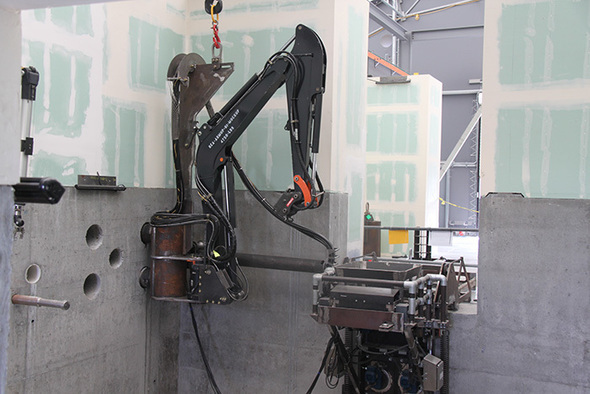 Workers at the 324 Building mockup install a remotely operated excavator for training purposes. The tool replicates the equipment that will remove part of the 324 Building’s floor and the highly radioactive soil beneath. 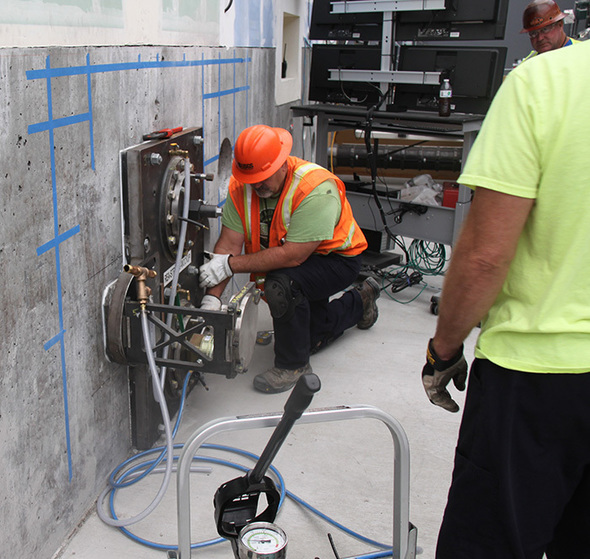 RICHLAND, Wash. – Hanford Site workers added a critical component to a training facility this month to eventually help remove radioactive soil beneath a former chemical laboratory. Crews with EM Richland Operations Office contractor CH2M HILL Plateau Remediation Company mounted the remotely operated excavator in a mockup of part of the 324 Building. This equipment will hammer, cut, and dig out the floor to access and remove the contaminated soil beneath the 324 Building. Employees will train on the excavator in the mockup before installing and using similar equipment inside the highly contaminated 324 Building. Crews attached a remote excavator to the wall at the 324 Building mockup. Installing the equipment required the precise drilling of support holes. 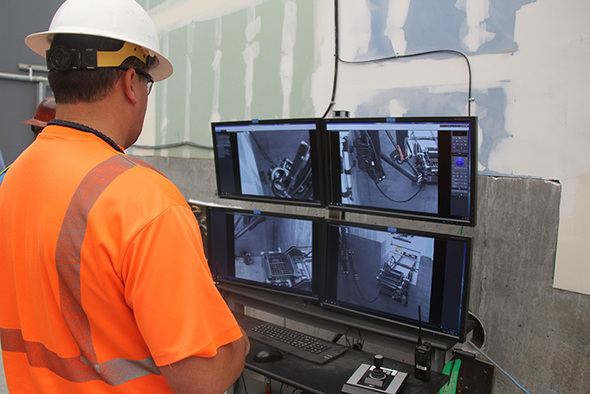 Skilled operators in the 324 Building mockup now train on a remote excavator, using newly installed cameras and lighting. 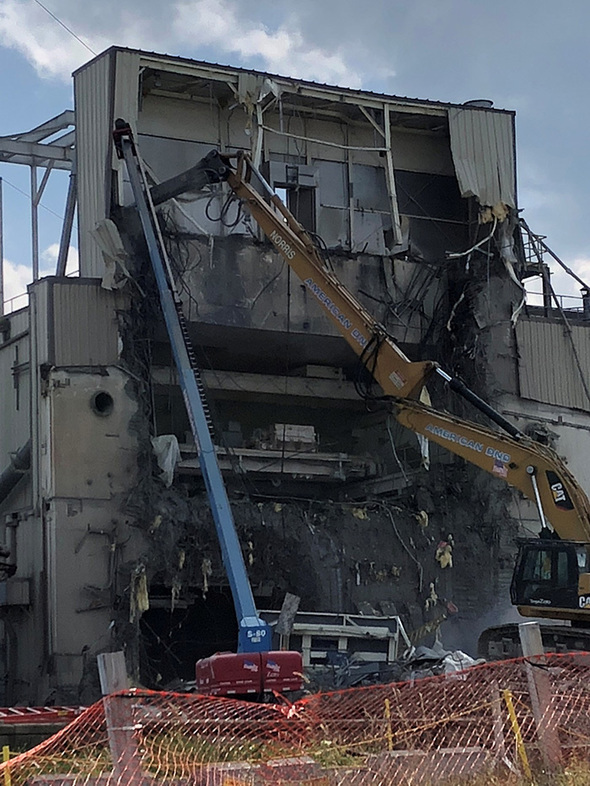 They will eventually deploy similar equipment in the 324 Building to remove grout and debris, score and remove the existing floor, and excavate the highly radioactive soil underneath. 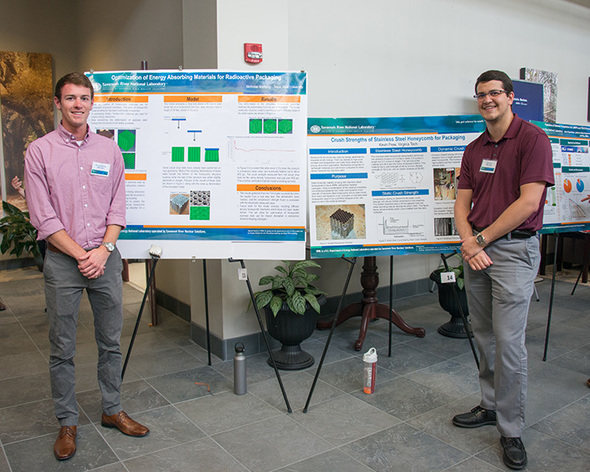 Seniors Nicholas Manning, Texas A&M, and Kevin Frew, Virginia Tech, stand with their posters at the Savannah River National Laboratory Intern Poster Session, presenting their findings and work completed this summer. AIKEN, S.C. – EM’s Savannah River National Laboratory (SRNL) offers students three graduate credits in mechanical engineering for completing their summer internships. The laboratory provides the credits as part of the DOE Packaging University Graduate Certificate in Radioactive Material Packaging program with the University of Nevada, Reno (UNR). The Packaging University was established in partnership with UNR in 2013 to provide graduate-level nuclear packaging education to prepare students for future employment. Each year UNR adjunct professors who work at SRNL teach two graduate-level classes as part of the Packaging University. This year the laboratory hosted three students who will receive course credit for their 10-week radioactive packaging internships. As part of their radioactive packaging internships, students are required to submit an approved research proposal, a midterm report, and a final research report. Kevin Frew, a senior at Virginia Tech, described his experience at SRNL this summer as enlightening. For Nicholas Manning, a senior at Texas A&M University, learning outside the classroom was a beneficial part of his intern experience. Brandon Eberl, a senior at the University of South Carolina Aiken, plans to use the knowledge he gained this summer at SRNL in his future career. The Packaging University plans to provide a graduate certificate in the field of packaging security and safeguards. 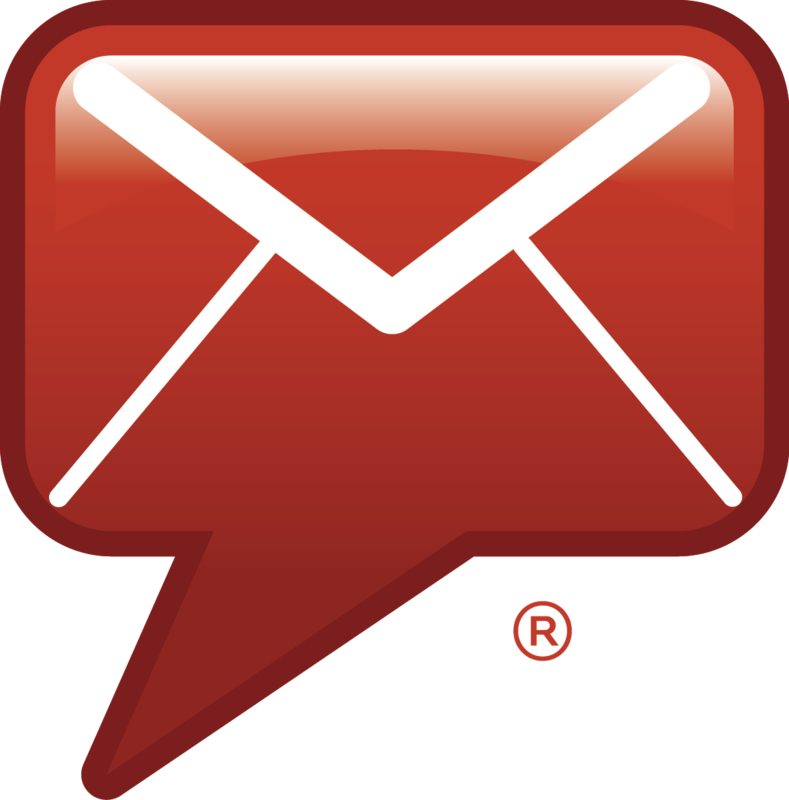 For information about the Packaging University click here. Workers rehabilitated six wells used to supply water to EM’s Portsmouth Site. 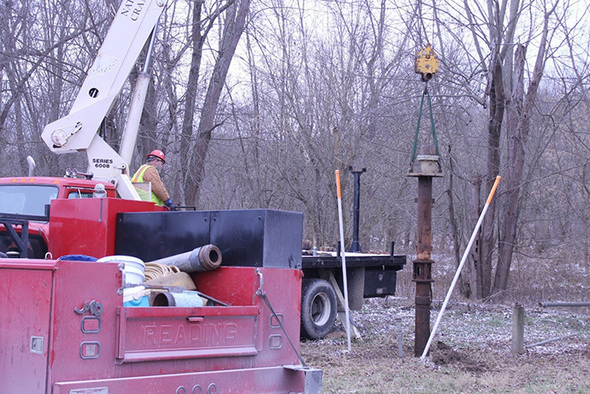 PIKETON, Ohio – Workers at EM’s Portsmouth Site recently rehabilitated six water wells, restoring them to their original design performance with substantially increased flow rates. The two well fields near the Scioto River in southern Ohio provide all of the water for EM’s Decontamination and Decommissioning (D&D) and Depleted Uranium Hexafluoride (DUF6) Conversion projects, and site tenants at the former gaseous diffusion plant. The two well fields contain wells up to 90 feet in depth located three to five miles from the site. Water is pumped to the site’s water treatment plant through 30-inch and 48-inch water lines. Video inspections allowed D&D contractor Fluor-BWXT Portsmouth to identify components that needed to be tested, cleaned, and replaced. Crews removed scale and deposits from the well screens and casings. The Portsmouth Gaseous Diffusion Plant was constructed from 1952 to 1956. Uranium enrichment operations began in 1954 and ceased in 2001. Enriched uranium from the Portsmouth Site was used for national security applications and to fuel the nation’s commercial nuclear power plants. 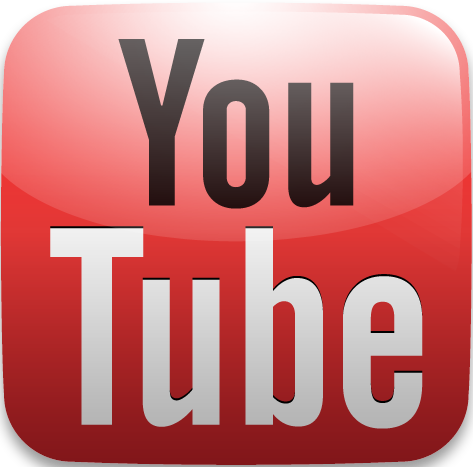 The D&D Project began in 2011 and is scheduled to last more than 20 years.